WITH A SINGULAR DESIGN AESTHETIC AND THE BUSINESS VISION TO MATCH, SOUDA HAS QUICKLY MADE THEMSELVES KNOWN AS A NEW FORCE IN CONTEMPORARY DESIGN. WHAT BEGAN AS COLLECTION OF PRODUCTS DESIGNED BY THE FOUNDERS, SOUDA NOW REPRESENTS A GROWING NETWORK OF UP AND COMING DESIGNERS INTERNATIONALLY. ON A RECENT STUDIO VISIT WE SAT DOWN WITH FOUNDING MEMBER SHAUN KASPERBAUER TO LEARN MORE ABOUT THE INNER WORKINGS OF THE COMPANY AND THEIR PLANS FOR WHAT LOOKS TO BE A VERY BRIGHT FUTURE. If you have an elevator ride’s worth of time to describe what Souda is, what do you say? 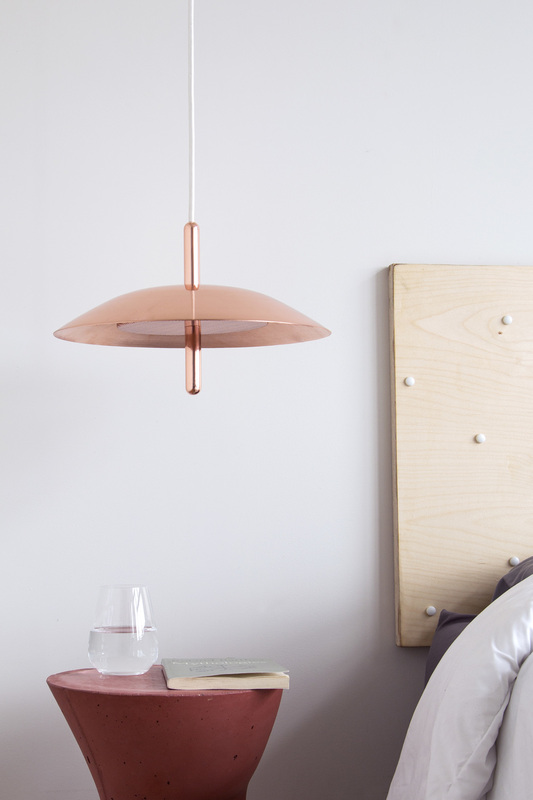 Souda is a furniture, lighting, and housewares brand. We work with a growing roster of up-and-coming designers and an eclectic mixture of materials to create goods that are casual, luxurious, and playful. The two of you (Shaun & Luft) are not only business and creative partners but are also a married couple. How do you approach balancing both sides of the equation and how do you divide responsibilities within Souda? For the most part, I manage our sales and marketing efforts while Luft manages our production and sourcing. Our skill sets compliment each others quite well, so there is a large amount of collaboration between the two of us in managing the various facets of our business. Ensuring there’s a good work/home balance is something that requires continual evaluation. Luft and I are each quite obsessed with what we do and consider ourselves lucky to be doing something we’re so passionate about. Occasionally we do have to disconnect ourselves from work for a little while. We like to travel and we also like to staycation in other parts of the city that we haven’t spent a lot of time in. While Souda began as more of a traditional design studio, over the years the brand and business has been re-oriented as a design focused manufacturing company. What made you decide to make this transition? When Souda first started, we felt that since there wasn't any name recognition, a sales channel, or significant starting capital, our options would be limited for finding good designers. We had a backlog of our own designs that were ready to be manufactured, well-suited for low runs, and unlike anything that was already on the market. As Souda has started to scale, we’ve really been enjoying developing partnerships with other designers. Its great to be able to work with such a talented group of people and we love that it creates a more diverse collection of objects. That diversity also ensures that everything doesn’t look like it was pushed out of a single factory. Additionally, our collection can now grow at a much quicker pace and/or at a higher quality than it could if there was the added pressure of designing every single item ourselves. We want the objects that Souda makes to be the types of items that people are really excited about. Each piece should feel completely resolved - like a work of art. By working with so many passionate and talented designers, the small details of each item are fully considered and every product has its own unique character. So what does your process look like for finding new talent and what are you looking for when prospecting new designs? Souda doesn’t have a set formula for finding new designers to work with. Luft and I meet designers at exhibitions, via magazines/blogs, and we’ve had people reach out directly to us. We’re constantly looking for pieces that we think would be a nice addition to our collection and for designers who have an appropriate aesthetic for Souda. We personally review every submission. When prospecting new designs, we’re looking for something that isn’t similar to anything else on the market and something that adds a new element to our collection. In general each item needs to successfully fulfill its function while pushing the formal boundaries in some way. Since we’re not making shipping containers full of each item, we’re working for the clients who are willing to spend a little bit extra on a bottle opener or a side table in order to get something that speaks to them - a piece they are proud to own. The design needs to warrant this. It goes without saying that the quality of each object is imperative. 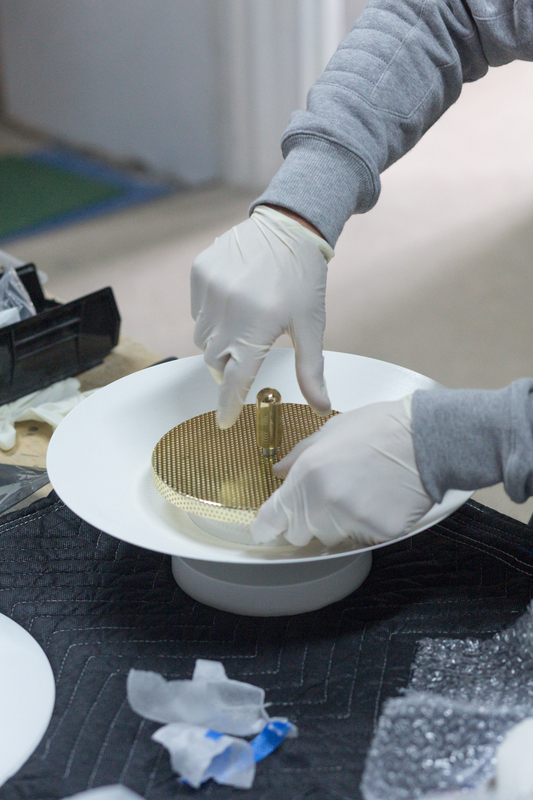 But beyond the quality, we want to make sure that every design detail on each Souda product is fully considered. This doesn’t mean making the objects that are purely the most functional, and this also doesn’t mean that we make the objects that are purely the most aesthetically beautiful, but we strive for each product being the most appropriate mixture of function and aesthetics. Each piece needs to have a little character and we want each piece to be something that you want to own for a long time, an item that’s cherished. Souda works with designers who share this level of passion and attention to detail. Are there any designers/studios/companies that you think are doing especially interesting work at the moment? Yes, Absolutely! For designers, I love basically everything that Note Design Studio does, Katie Stout’s work is really fun, and I’ve recently been obsessed with the work of Ferréol Babin. For studios/company’s; I’m loving Rosie Li Studio’s work, Jamie Wolfond, owner of Good Thing is putting together a really interesting brand, and Ryan Rizzo of Allied Maker (a fellow Parsons Grad!) is doing some great work. Being such an established brand so early on often makes people forget that Souda is still a very young company in the scheme of things. What are your plans for Souda looking towards the future and how do you see the business evolving? Souda is certainly still a young company, but things have been progressing nicely. In early 2015 Souda slowed down product releases while Luft and I prepared our production and backend to be more scalable. Since then, we’ve almost doubled the number of products we offer and there are a few new items coming up in 2016 that I’m really excited for. We’re hoping to further our reach in 2016. We’re plotting our expansion to areas outside of North America, and solidifying relationships with new retailers, distributors, etc. While Souda is still a relatively small company, it seems to be attracting a very enthusiastic fan base. It’s encouraging to see that some of the designs that Luft and I find to be particularly poignant appeal to a lot of other people as well. Since the response has thus far been quite favorable, we are constantly looking for ways that we can decrease our lead times, make Souda products accessible in more locations, and introduce our company to an increasingly larger group of people. We’re still working on a tight budget, but we’re creative, passionate, and really excited about what we’re putting together.